Infused with natural oils, Unnique Ageless Blonde Hair Therapy combines the power of Avocado Oil, Shea Butter, Coffee Arabica Extract, Keratin, and Amino Acids. All coming together to provide the most natural hair therapy. 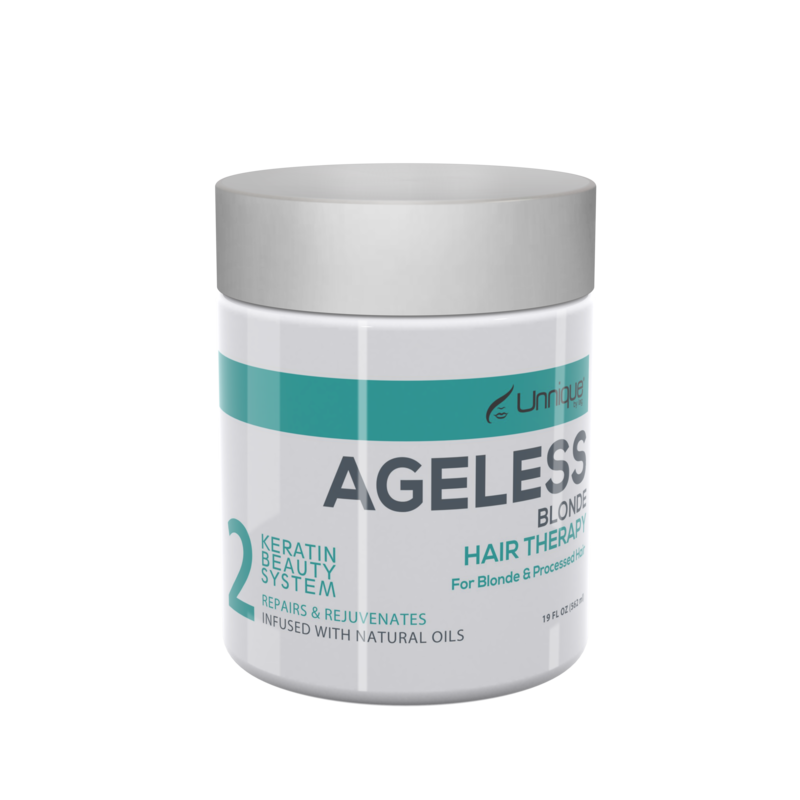 Unnique Ageless Blonde Hair Therapy repairs, rejuvenates, and nourishes the hair with a variety of healthy elements that combined help reduce frizz and provide shine and softness. For blonde and processed hair, we recommend Unnique Ageless Blonde Hair Therapy Specially developed for Blonde, Highlighted and Silver Hair; infused with natural oils & a violet base, to provide the most natural hair therapy and complete color protection. Ultimately neutralizing the orange, yellow, and brassy tones in your hair for a complete hair therapy! Don’t wait any longer, let your hair be ageless and your blonde perfect! ONLY 2 Steps to a beautiful hair!